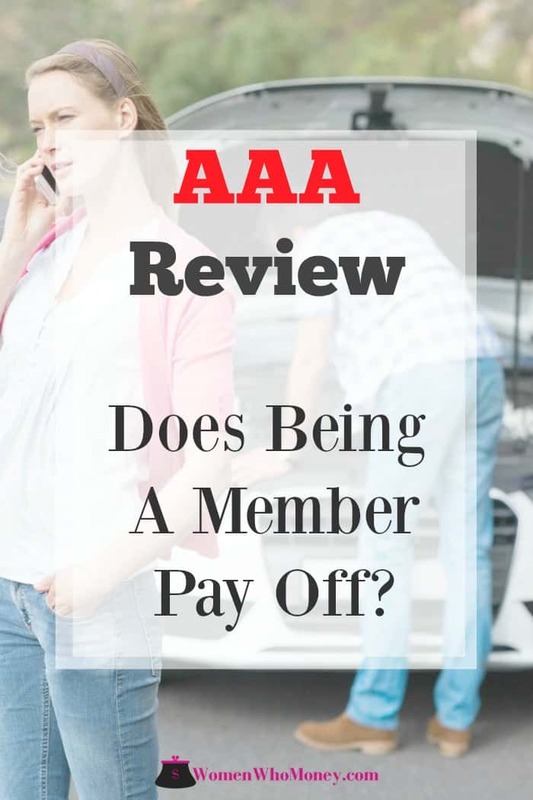 Home » Reviews » Is My AAA Membership Worth the Money? This review was completed by Vicki, one of the co-founders of Women Who Money and Women’s Money Talk. She’s held a AAA membership on and off during the last 30 years. She is currently a Plus-level member with an add-on for her son who has a car at college six hours away from home. Whether you own a new or used vehicle, there is always a chance of having car trouble. It could be a dead battery preventing you from getting to work or a flat tire on your way home. You might lock your keys in the car, run out of gas in a traffic jam, or slide off an icy road. You’ll probably be able to handle some vehicle issues on your own, but there are definitely car problems that require extra help. People who purchase new cars may have roadside assistance included for a set period. But if you drive an older car, you may have to decide whether it is worth it to buy a roadside assistance plan from your insurance company or purchase coverage through a program like the American Automobile Association (AAA). While AAA offers more benefits than just roadside help, it also costs a lot more. 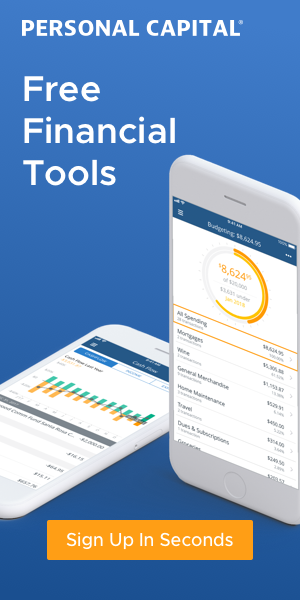 Let’s take a look at whether a AAA membership is worth the cost or whether options costing less will still meet your needs. AAA (or Triple-A) has been around for over a century! Back in 1902, nine motor clubs with about 1500 members came together to focus on personal mobility, improving highways and concentrate on public safety. The non-profit federation of motor clubs now boasts more than 40 clubs with over 59 million members in the US and Canada (CAA). Triple-A focuses on advancing knowledge and raising awareness about distracted driving, transportation and infrastructure safety, environmental responsibility, and air travel safety. I’m a member of the Western/Central NY AAA motor club, and all of the information below is from my club’s website. Rates can vary depending on where you live. Click on this link and enter your zip code to see what you would pay for membership through your local club. One of the most significant benefits of a AAA membership is coverage for roadside assistance – whether you are the driver or a passenger! Here are the three levels of membership you can choose from and some of the key benefits at each level. Membership fees are annual. 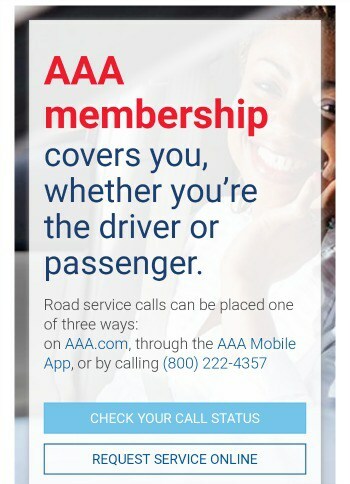 AAA provides more than roadside assistance to its members. Each club offers different discounts and rewards, and they all offer reduced prices to local attractions. In addition to discounted tickets, you can save on hotels, rental cars, food, prescriptions, sports, electronics, car washes, movie tickets, and more. 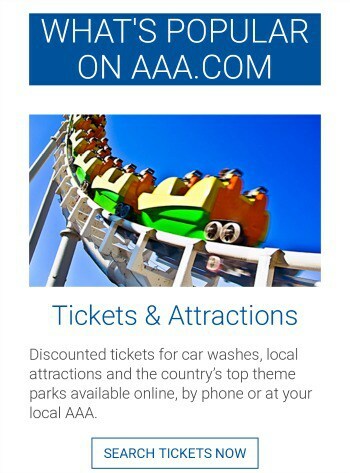 Click on this link to see all of the different ways I can save by using my AAA membership card. 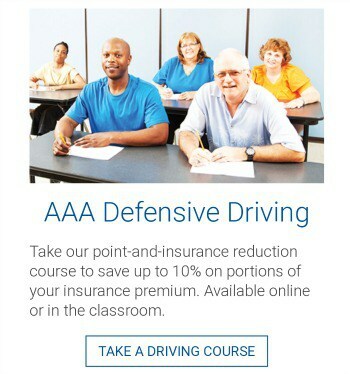 Triple-A also offers an online Defensive Driving course that can save you money on insurance premiums. Call your insurance agent to see how much money you can save if you complete this course successfully. A Triple-A membership isn’t your only option for roadside assistance. For less than $25/year, many insurance companies offer it in addition to car insurance policies. It’s important you check with your insurer to find out the cost of roadside assistance, the benefits provided, and their specific requirements. While it might seem crazy not to use the cheaper roadside assistance offered by your insurance carrier, personal finance expert Clark Howard says there is more to consider. Clark says some auto-insurers treat roadside assistance calls as claims which become part of your C.L.U.E. report (Comprehensive Loss Underwriting Exchange). This is a shared database insurers use to determine insurance rates. If you use roadside assistance too often, these claims may end up affecting your insurance rates. Your insurance agent should be able to answer questions about this. Unlike with a AAA, these insurance plans usually cover the vehicle and not the driver. Some premium credit cards also offer roadside assistance as a benefit. Check to see if you hold a card that could take the place of paying for a AAA membership or adding to your car insurance coverage. Self-insuring is another option for those who prefer to save money over paying for a membership they might not use and discounts they’re not likely to take advantage of. 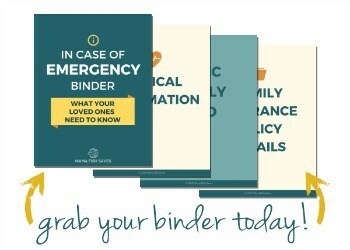 Some may choose to use an emergency fund for unexpected car troubles. But if your vehicle is older or you’ve already had mechanical problems, you might save money with a AAA membership for car problems instead. 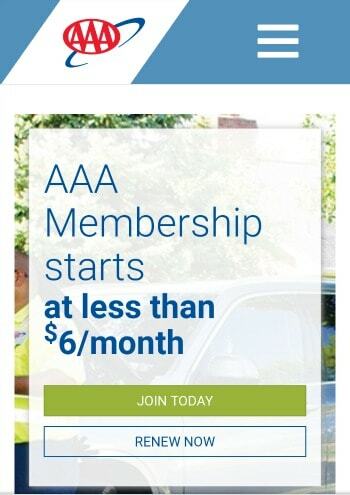 Are We Going To Renew Our AAA Membership? 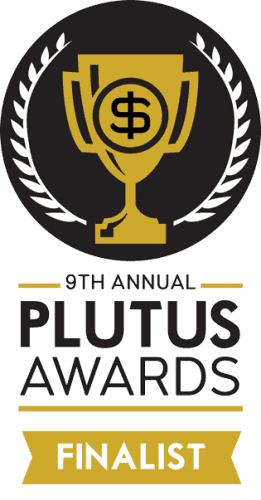 This year, we paid $152 for our AAA Plus memberships (for primary + one additional family member.) And at this point, we haven’t used AAA’s roadside assistance once. We’re happy about that because it means our older, high-mileage cars are running well, and we haven’t run out of gas or locked our keys in the car! While it might seem like we’ve wasted money, we’ve saved some money using AAA discounts at hotels, for rental cars, and airport parking. The discounts don’t add up to what we paid for our memberships, but we still think it was a smart move for our family. With three high mileage cars, thousands of miles of travel, and our child with a car in a different state, our AAA membership helps us sleep better at night. We may not renew it every year, but for the next few years – you’ll probably find a AAA card in my purse and in my son’s wallet! Great article! I’ve been a member since high school….and just last week had an updated passport photo taken before I renew my passport this summer. Walgreens charges $15. Another nice feature of having a AAA membership. 17 year member here. Have my umbrella, home, auto & roadside assistance with AAA. I treasure the benefits, if nothing more than knowing, when in trouble, there is a nice person on the other end of the phone who will be nice and do what they are able to help me get through it. Have had other insurance and they made me the bad guy and had to fight for payment when in trouble, then took forever to pay out. When the companies call with “better rates” I tell them I am with AAA, not interested in another option then hang up. It’s worth the world to me.